The Amazing World of Gumball The Amazing Volume 1 DVD Review If you want something a little different, than why not check out The Amazing World of Gumball on DVD! The Cartoon Network continue to produce whacky, fun and entertaining TV series and The Amazing World of Gumball is no exception to that rule. I mean what cartoon series would focuses on a Gumball (Logan Grove) whose best friend is a piece of Toast called Anton and his dad is a 6'4" bunny while his brother is a Goldfish (Kwesi Boakye). Whaaaa? 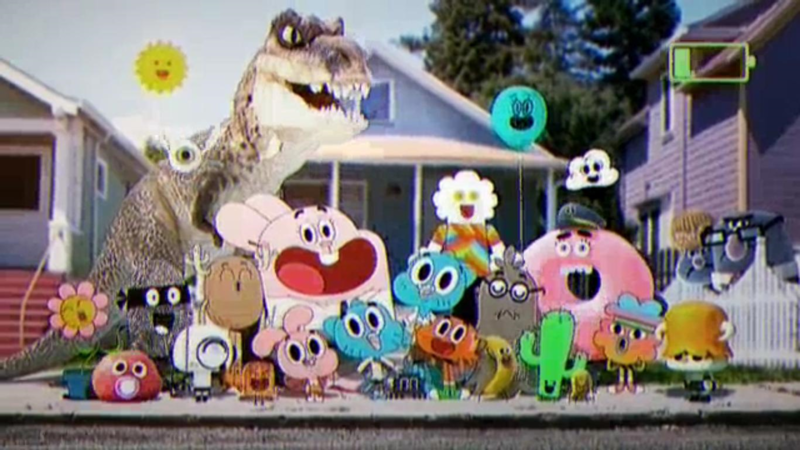 That's right and that's the world of Gumball and then you can throw in other weird characters like a T-Rex and even a Peanut in this colourful cast of crazy characters. 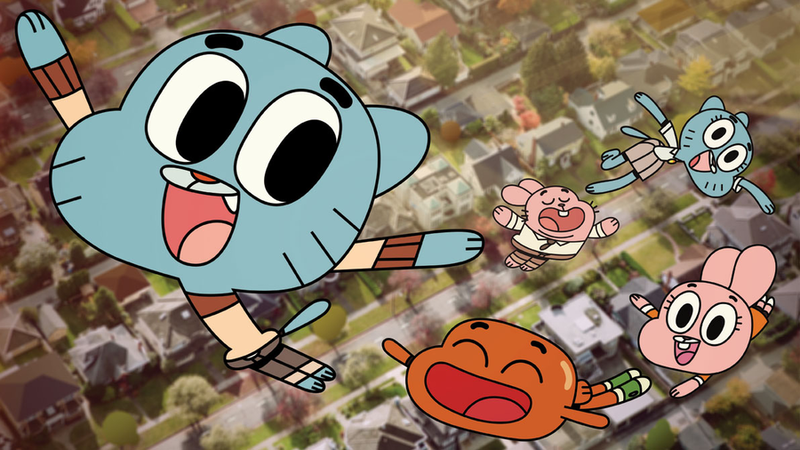 Best of all, The Amazing World of Gumball can be watched by both children and adults as the humour successfully manages to cross a variety of generations. Another highlight of the series is that it uses 2D animated characters merged with a variety of bizarre effects like photographic backgrounds, computer graphics and even puppets. The result is something spectacular, quite colourful and even 3D like as we follow the adventures of Gumball. Like those old Hanna Barbera cartoons of yesterday, each episode has a theme and generally all of the characters get involved in some mayhem before the episode miraculously resolves itself. As mentioned, the comedy of this cartoon series can be enjoyed by everyone and there's lots of antics to laugh out loud at. It's just freaky! From talking Bananas to Cheerleader Peanuts, The Amazing World of Gumball is probably the strangest children's show available but there's something quite likeable about this colourful assortment of characters that not only produce entertaining episodes but sometimes there is a hidden meaning to be found. 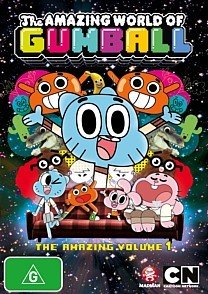 The Amazing World of Gumball, the Amazing Volume 1 really goes beyond the traditional stereotypes of children TV series and could almost be described as Japanese due to the wackiness of the characters. To compliment the strange characters and stories, the animation is quite stylised and really helps bring out the characters due to the various animation techniques used. On DVD it looks quite bright and vibrant which is matched by decent sound to create a fun cartoon series. If you want something a little different, than why not check out The Amazing World of Gumball on DVD!